Mark Gilleo's latest mystery novel Favors and Lies is an attention-grabbing and fast-paced mystery that just might tease the sleuth-mind of any reader. Private Detective Dan Lord has had a series of losses in his life, the latest being two relatives which were both ruled suicides, but Dan has an inside track on family members and he is determined to prove they were intentionally placed in harm's way. Sue is Dan's new intern and she has her own set of peculiar talents. Together, they run hot and cold on the trail of personal mystery and government intrigue. Dan Lord has an unseemly collection of informants and accomplices as he hits the trail to places and people who commit misdeeds in high places. 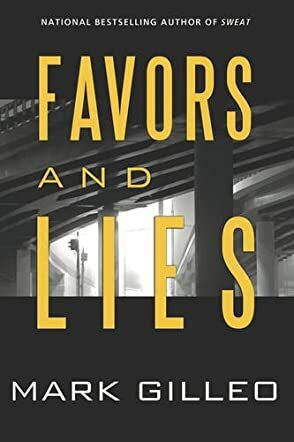 Favors and Lies is one of those books that starts out logically and then author Gilleo takes off at a tangent which leads to unpredictable situations with unforgettable characters. There is a diplomat, a barber, a computer hacker and a woman of questionable character, all of whom provide valuable leads as well as an education of their own. Because of his intriguing plots, quirky characters and a mind that just keeps racing, Gilleo is becoming one of the favorite new American mystery writers. Most people won't have the slightest bit of trouble deciding to put aside chores while they try to outwit the author and save the good guys in the process.